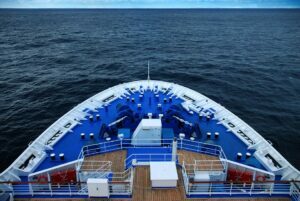 Home » Travel Tips » Should I Take a Cruise? If you are planning a honeymoon or anniversary celebration, what better way to celebrate than with a romantic cruise? Despite the occasional media stories about accidents at sea or piracy, most cruise getaways go off without a hitch. What you need to do is to research the history of the cruise line and make sure you are dealing with a company that offers security, foresight, and transparency regarding what they offer and how they will keep you safe. Disney Cruise Line– This cruise line is devoted to family values, Disney-focused themes, and well-appointed ships. They take pride in their safety record and it is also safe for kids of all ages. So if you want to bring the kids along, this might be the one you’ll want to consider. Their cruises travel the Caribbean and Mediterranean and they want your stay with them to be the best possible experience. Princess Cruises– Princess Cruise Lines sail to a wide range of exotic destinations, including many North American ports. They offer online booking, so that you can easily access, change, or cancel your arrangements with ease. They pride themselves in high-class accommodations and entertainment features. 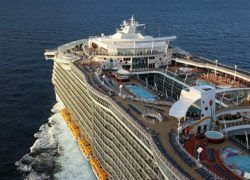 Royal Caribbean– This cruise line offers cruises to many of the most coveted destinations in the world, including Europe, Australia, and the Orient. They have many international offers that can be boarded from various areas of the world and they cater to their customers with special deals to some of their best destinations. Celebrity Cruises- This cruise line has made its name from their title, “Celebrity Cruises,” by offering top treatment and special activities for their guests. In other words, they make you feel like a celebrity! Great for newly-married couples, anyone wanting to celebrate a special occasion, or other event, this cruise line is unique in the way it allows anyone to live like a celebrity for a week or so while on their ships. These are 4 of the best cruise lines we found for your consideration. There are others, of course and you will want to do a thorough review of each one before deciding. The most important factors you’ll want to consider are: their safety record, customer satisfaction rating, and price, depending on what you are willing to spend on a cruise. The best part of a cruise is that you cannot go anywhere other than the ship, so that means you are sure to get the rest and relaxation you need to recharge your batteries, step back from the fast lane for awhile and just “cruise through life.” Go to http://www.vacationstogo.com to learn more about any cruise line and some of the discounts and specials currently being offered by some of the biggest cruise lines today. Happy sailing! In Travel Tips Tagged Celebrity Cruises, cruise getaways, Disney Cruise Line, Princess Cruises, Royal Caribbean, Should I Take a Cruise? Virginia is for (Wine) Lovers!